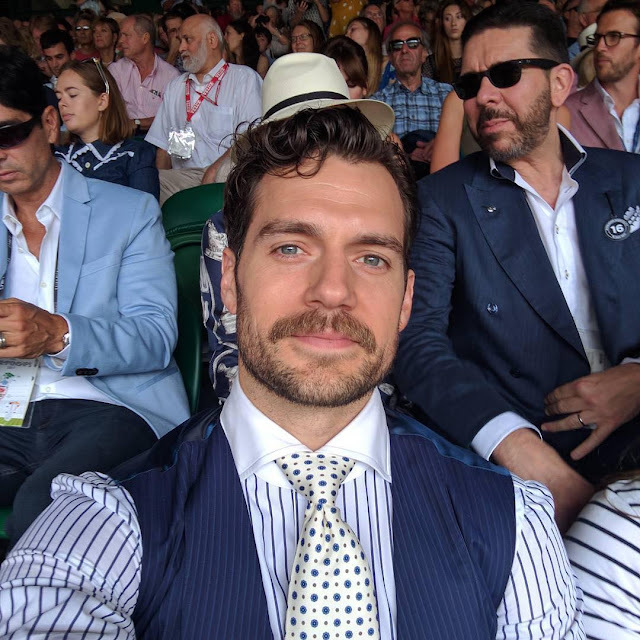 Looking like he just stepped out of a photo shoot and with his humor on point, Henry has posted for the first time since he returned home from filming Mission: Impossible 6 in New Zealand.. and he's at Wimbledon! Cameras caught a brief glimpse of him and M:I6 stuntwoman Lucy Cork, as Roger Federer took on Marin Cilic in the Men's singles final. They're in good company, the Duchess of Cambridge and Prince William are there. Also spotted in the crowd, actors Eddie Redmayne, Bradley Cooper, and Henry's The Man from U.N.C.L.E. costar, Hugh Grant. A few fans also got a pic with him. My neck looks cracked 😂😂 BONUS I GOT TO MEET THE MAN OF STEEL! Federer was going for a record eight win and he achieved it, making Wimbledon history. What a match to experience live. Thanks for the update, Henry! I want to see their full outfits. It is one of my favorite things to do is to see what everyone is wearing at Wimbledon, especially the finals. Wish them all the best, everyone deserve happiness. Thank you for posting. You know when two people just complement each other well? That's what we have here they are a hot couple! 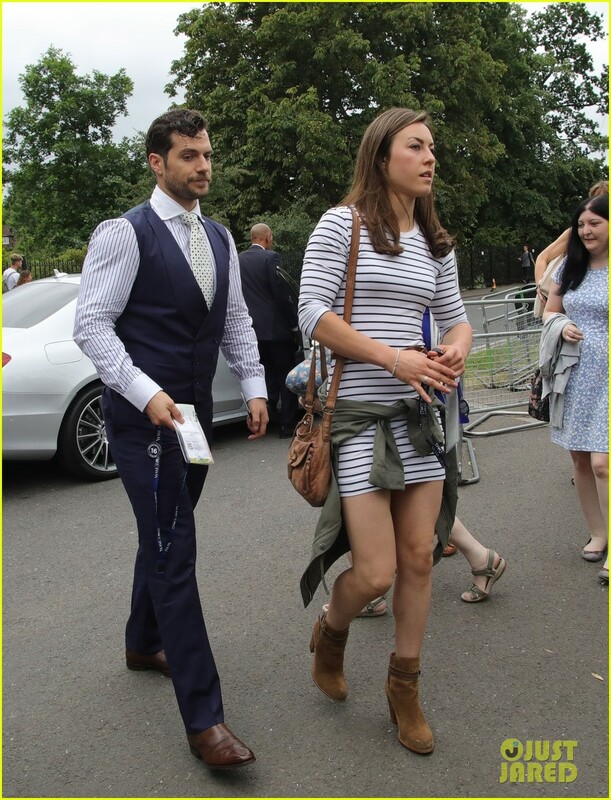 I'm so jealous they're at Wimbledon. Federer is my favorite tennis player. To watch him and see Henry with his beautiful girlfriend would have been a treat. Back to your own site you go. We have no time for your bitterness and jealousy. Ridiculously handsome, as usual. His new girlfriend is very beautiful too, I really like them together. I'm glad he is happy and I wish them all the best. I don't understand the animosity regarding Henry's private life. Some of the other sites are absolutely vicious and I just don't get it. You are either a fan or your aren't. Make up your minds and get a life. Sorry, HCN, but I just had to vent. Jealously is all it is hun. At the end of the day, Miss Cork (and previous girlfriends) have something that these women want but know they will never have a chance with.. the Henry Cavill. It's all projection of one's own insecurities. Glad you enjoyed yourself Henry and that the weather held up for everyone. Hello, this is one of the truest sites for Henry's career and not his personal life. Thank you HCN for that, and respecting his privacy. I totally agree. This is the best site for Henry's fans so far. Thank you for giving us that! I hope to see him/them at Comicon next week! So excited for Justice League and for any positive feedback. That should be refreshing. I said the same to my boyfriend. It shouldn't work what with being closely together, but it does. I think I'm jealous of Henry LOL. If Henry is happy, then I am happy for him, as any true fan would be. The visciousness on a certain other site is unbelievable. Thanks for always keeping the positive vibes going. Eddie Redmayne, Andrew Garfield now Henry Cavill spotting there.. I wonder who else is going to pop up haha! As long as he is happy that's all that should matter. Cute couple if they are together. That's really hard for me to say LOL!!!!! but as longs as he's happy I'm happy. My God... He's so... handsome! I've never known a more handsome man in my life. I just love, love... his taste; in everything including women. The new love is pretty, as all the girls before her. He has my blessings. It amazes me, how whatever he does compliments him so well. Everything looks so good on him. God... I love this man so much, I can't explain. Love you forever, my dearest Henry Cavill. D.
Love his outfit, that tie stands out really well. Love a man that can dress well. Just can't get enough of Henry's look. 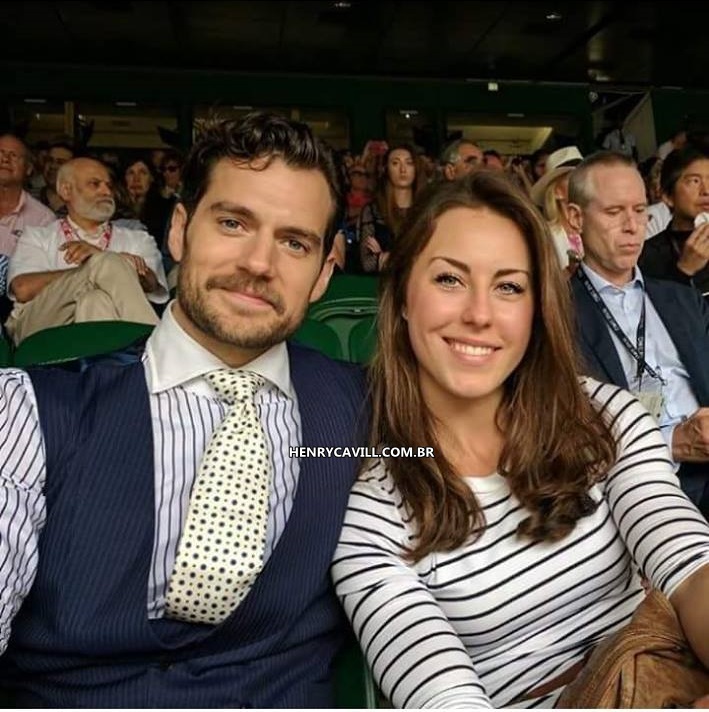 Henry's looking very handsome, absolutely gorgeous in this outfit. Such a beautiful blue and white; just love the stripes, and that tie is so... pretty! The outfit really complements his handsomeness; it complements his flawless complexion, perfectly. He's so delightful. He's got a real cute sense of humour. *smiles* D.
It looks like Henry is wearing a little tiny hat on two the pictures above (the hat of the woman who is sitting behind him)!